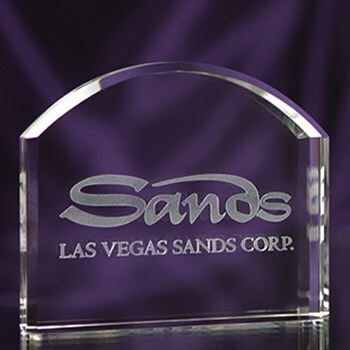 Our Crystal Arches combine a classic style with a generous engraving area. 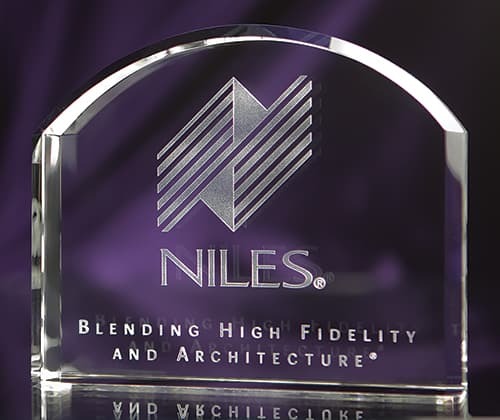 They are perfect for any photo or corporate logo with an inscription. The beautiful and gentle edge facets enhance the perceived value of this quality crystal piece. As with all of our beautiful crystal pieces, a padded, satin-lined gift box is included at no additional charge. A one-time price of $72.16 will be added to your order.